It's EuroMillions Mania across the entire continent so prepare yourself because it's only going to get wilder! To help you get the most of this week's rolling Superdraw we've created the perfect EuroMillions crash course that'll tell you everything you need to know. Learn how to play EuroMillions, get to grips with the rules and odds and, best of all, get tips on how to win! We all love a nice bargain, saving money feels good. Only thing that feels better is winning money. Right now if you sign up with Lottoland you can do both. Word is spreading fast – by switching to Lottoland you can save 50c on EuroMillions and therefore continue to play for just €2! 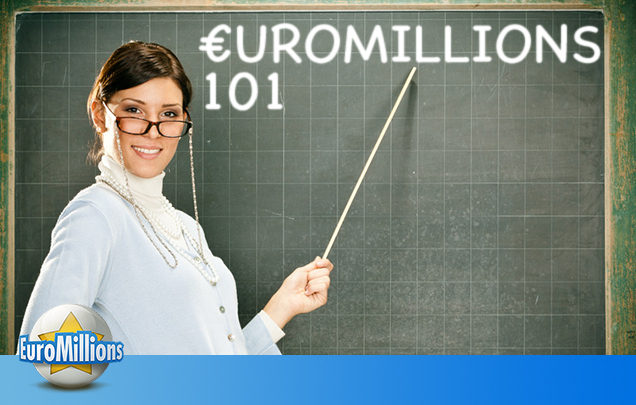 Plus, with a massive €141 million jackpot up for grabs tonight, the timing couldn't be better. Suddenly everyone's talking about EuroMillions so, if you've never played before, or if it's been a while, let's get you up to speed with a quick refresher course to make sure you don't miss out. EuroMillions is one of the first ever multi-national lotteries. It's also the biggest of its kind in Europe. It was modelled after America's giant PowerBall and MegaMillions lotteries, to create a lottery whereby players on this side of the Atlantic could enjoy similar, nine-figure jackpots. Originally a joint project of the British, Spanish and French national lottery operators, it has since gone on to cover nine different countries and four additional territories across the entire continent of Europe. The draw takes place at 8pm Irish time each Tuesday and Friday night – and they're always hugely popular throughout Europe. EuroMillions has always been a firm favourite ever since it first launched more than 12 years ago. With a maximum jackpot capped at €190 million it's created all but one of Europe's Biggest Lottery Wins (the only game to match was Italy's super-tough SuperEnaLotto). It's also given Ireland it's biggest ever lottery win, Dolores McNamara's massive €115 million win back in 2005. Course that's already 11 years ago now, so it's high time we had a new one! EuroMillions is a simple and fun lottery to play – simply pick 5 numbers from a range of one to 50, plus two "Lucky Star" numbers from a range of one to 12. If all five regular numbers plus your two Lucky Star numbers match the numbers drawn, you'll hit the jackpot! As of the latest EuroMillions rule changes the current EuroMillions jackpot odds are 139,838,160 to 1. Big odds to win even bigger jackpots, but don't forget that, overall, your chance of winning a prize (of any kind) with EuroMillions is a very decent 13: 1. What's This Superdraw You Keep Mentioning? Well, there's regular EuroMillions draws, which happen week to week, then there are those rare special occasions where the organizers raise the jackpot much higher than usual. In the past they tended to raise it to €100 million. Though this latest one started off at €130 million and is still rolling. 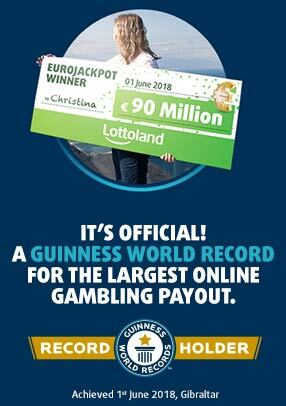 It may even hit the maximum €190 million meaning we've another potential record-breaker on our hands – maybe a first for Ireland!